Technologies are always on the race course — this is a simple known truth fact. The deposition of 2018 creates an amusing expectation, and we want to go beyond with it. But to be subsequent with latest trends does not only mean that you and your business are winning the market race. So, building or making your own custom solution having more benefits to your business. Let discuss custom android app development and its benefits. This is the most familiar question for an investor before choosing it. The Custom app development is all about creating a new service product which would meet some specific requirements of the investor. This particular custom app would deliver services of your business, would help to solve some of your specific problems and help to satisfy the needs. So, your workflow would be easier, more efficient and faster. A customized app means you would only have your own features and own products on the app structure. And your own custom product will have all the functionality that you need. Certainly, you choose what to include and what to pay for. The second thought you may skip some time spending which is not included in a price of a ready-made application. When you buy or order to deliver a custom Android app, you know that you’re fully outfitted in a long term. As a business owner, you must be aware of your user’s or customer’s needs. And developing the customized app would help a lot in this situation. A customized app would always have the multi-features of your necessary functions in a single bundle. So, by customizing your app it would push your products closer to your board users. There are many advantages of android apps are, they’re flexible, easy to customize and as such the platform is more popular in the worldwide. 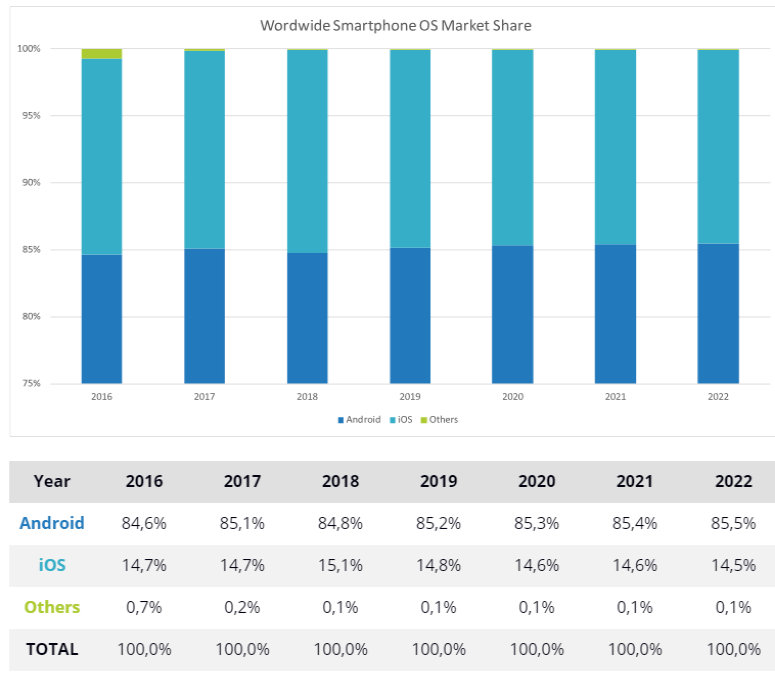 As I have just mentioned above, Android has been dominating the mobile app market with 88% of users from total mobile users worldwide. In result, the business owners are simply choosing Android platform above the other. Certainly, your customized Android app would appear in a big marketplace where the niche economic groups are involved. The customized apps are being developed for the purpose of one specific business. So, it means that no one out in attendance should have knowledge of architecture for your products and service. On the other hand, android has his own high-security forms to make your app secure. This is the most prominent part to choose android. Android is still an open-source platform. The SDK (Software Development Kit) can be shared between Android developers and could modify throughout the development cycle. So, the app development company and their investors would never have to worry about cost and license or loyalty. So, the complexity and time fetching years have passed way for custom app development. 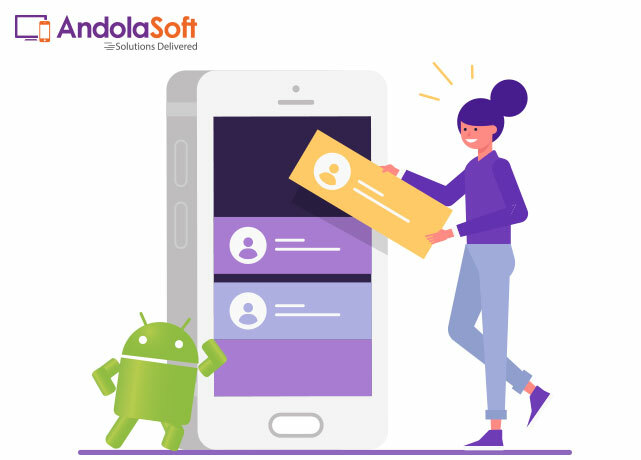 Nowadays, the demand of the mobile app is increasing rapidly and various business owners very keen to develop the customized Android app to engage & retain their customers. Now it has become one of the best probabilities to reach your global audience and the most proficient way to expand your business in the competitive market. It’s always challenging for every business to develop a custom mobile app according to the requirement. You need to choose the right app development company to get things done to your need. Andolasoft has long experience & expertise in custom mobile apps with skilled developers. Are you looking to develop a native Android mobile app? Let’s Discuss!